It’s never too soon to start thinking about the spring planting season. Depending on the region of the country where you live, it may only be a matter of months before you can start growing vegetable plants indoors from seed for harvest next summer. In the meantime, it’s fun to plan what you’re going to grow by browsing your favorite seed company website (:-)) and learning which plants would be best for your purposes. In the course of your research, you’ll find many mentions of the term, “heirloom”, and may wonder what it— and its associated terms— mean and why they’re significant. 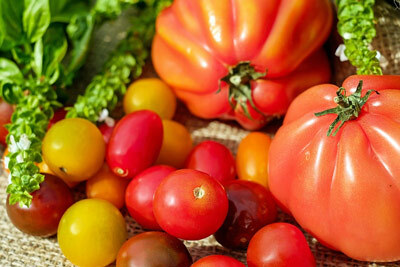 Why should you plant heirloom vegetable varieties? What are, say, heirloom tomatoes? We have some answers. Heirloom seeds come from favorite, historic plant cultivars passed down among generations of communities or families. A defining characteristic of heirloom seeds is they are open-pollinated, which means the plants that produced them were pollinated by natural means. Natural pollination occurs via insects, birds, or wind out in the wild—not through human intervention in a lab. The resulting plants are genetically diverse, allowing adaptation to local climate and growing conditions over time. At the opposite end of the spectrum from heirloom plants are hybrid plants. Hybrid plants were developed in response to the “Dust Bowl” drought in the mid-1930’s which destroyed much of the U.S. agricultural production at the time, forcing hundreds of farms out of business. The extended drought resulted in calamitous food shortages and much human suffering (as vividly captured in John Steinbeck’s epic, “The Grapes of Wrath”). Hybrid plants were developed by scientists to exponentially increase agricultural output and bolster the U.S. food supply. This carefully controlled cross-breeding produced plants that were not only more vigorous, faster growing, and disease resistant than their parents, resulting in higher yields, they were also more stress resistant which meant they were more likely to survive drought. Compared to heirloom vegetables, hybrids boast more uniform traits in terms of size and appearance and are very consistent from plant to plant over time. Hybrid plants also yield more and cost more. But heirlooms are more nutritious and taste better, among the desirable traits that caused them to be saved and passed down in the first place. 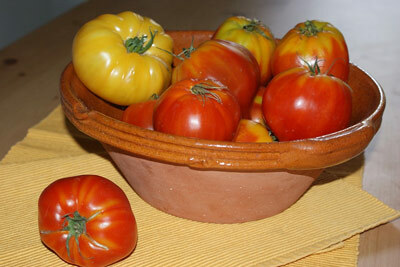 To illustrate the difference between hybrid and heirloom vegetables, consider the ubiquitous supermarket tomato. This hybrid fruit was developed, principally, to look good and withstand the long journey from the warm regions where they’re grown to retail outlets across the country. However, these beautiful hybridized tomatoes don’t taste anything like the succulent, if imperfect-looking, heirloom tomatoes you grow yourself or buy at a local farmstand in summer. Commonly accepted wisdom is that an heirloom plant variety is a cultivar developed before 1945 or so, when hybrid plants entered widespread circulation, around the end of World War II. And, as mentioned above, one of heirloom seeds’ defining characteristics is they were considered something of value, saved and passed down from generation to generation, hence the moniker, heirloom. Heirloom plant varieties not only represent an assortment of desirable traits including appearance, flavor, texture, and hardiness, many of them have interesting or unusual names (or even multiple names) and associated dates of origin. 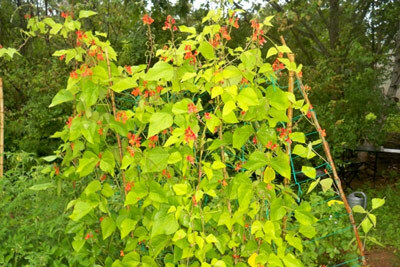 For example, the wildly popular and prolific Kentucky Wonder pole bean is a very old heirloom that seems to have originated the south during the 1850’s. It has also been known over the years as ‘Texas Pole,’ ‘American Sickle Pole,’ ‘Eastern Wonder,’ ‘Egg Harbor,’ to name a few. Heirloom seeds originated from different cultures all over the world, and there is evidence that some varieties have origins that date back thousands of years. For example, the heirloom romaine lettuce variety, Parris Island Cos is a descendent of romaine lettuce that appeared in Egyptian art from 300 B.C. Regardless of their origins, by choosing heirloom plant varieties, you know you’re going to be growing and enjoying something special—something generations before you deemed worthy of preserving. By growing heirloom vegetables from seed, you help preserve that heritage. So, even though next spring’s growing season may seem like a long way off, it’s never too soon to start planning your crops and preparing your garden.